People came to settle on Dhalchar around sixty years ago. While many started to begin farming others were occupying land by force. Since the land did not have ownership papers, a section began to demand the crops from the farmers. Reportedly, the Chowdhury family occupied lands and forcibly took crops belonging to the farmers. Those who protested faced torture and death, So far, 11 persons died and three disappeared. Locals say that around 18 to 30 persons were killed. It’s found from the notice of the land ministry of the Pakistan Board of Revenue in 1960-61, that 1153 families and then 1400 in 1997 were listed here. The landless of Dhalchar allege that former secretary Nazim Uddin Chowdhury and his uncle Kamal Uddin Chowdhury have established a reign of terror. The farmers are forced to give their crops to the Chowdhury family. It’s believed around 800 acres of land is controlled by the Chowdhurys. 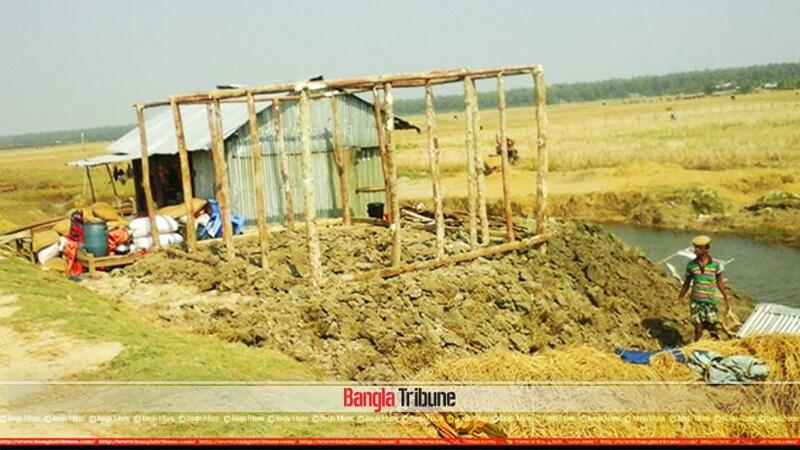 Farmers allege that hoodlums belonging to the Chowdhurys have taken thousands of mounds of rice. Meanwhile, there have been clashes between hired goons and farmers resulting in 18 deaths and countless injuries. The landless of Hatia say that they are not helped by the police against the crop looters. “Every year, crop is taken away by the hired goons,” complained a local farmer.